Get on the OvR Snow Bus and experience The ULTIMATE RIDE! At season’s end, we’ll be gifting 4 GRAND PRIZE Winners over $1000 one for each of the categories in the Kodak Photo Contest! 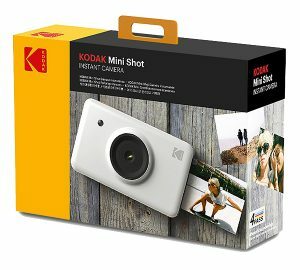 Some lucky guests are going to win one of these sick Kodak Mini Shot Cameras! But everyone’s a winner… Everyone on each of the Ultimate Snowbus trips this season will receive a postcard redeemable for a free gift after your trip atge the Arc’teryx Soho Shop. Bring that card in and with any sale you’ll walk out with something special from Arc’teryx as well as eligible for additional surprises (all the good kind of surprises). Stay informed and drop by Arc’teryx Soho whenever you can. Keep in the loop on all they’re doing on the mountain, in the city and abroad! Check the dates and sign up for any of these trips asap! Winners will be chosen from active reservations!!! Make a Reservation Today and DON’T MISS THE BUS!!! This entry was posted in Arc'Teryx, Events, Gear, Kodak, News, NYC, OvR Shout Outs, OvRcrew, Partnerships, Salomon, Trips. Bookmark the permalink.